Scale / Level of measurement: Level of measurement or scale of measure is a classification that describes the nature of information within the values assigned to variables. There are four different types of scales. 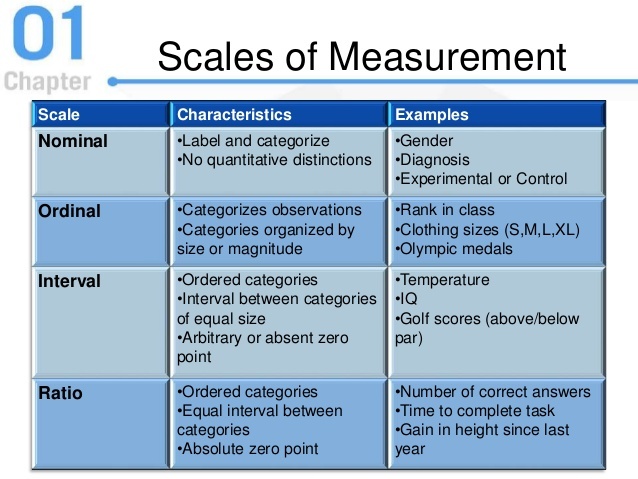 Here, nominal scale and ordinal scale are Qualitative variable & interval scale and ratio scale are Quantitative scale. Can be divided into some categories. Categories cannot be ranked or ordered. Categories can be ranked or ordered.